Sales of the Virtual Promoter are currently at full speed. 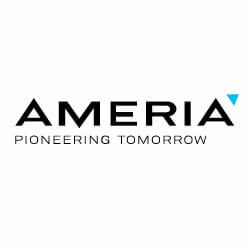 As mentioned in our breaking news last week, ameria is pleased to announce a new major client as well as the recent sale of a Virtual Promoter installation. Our sales structures - direct sales and sales through partners - have enabled us to achieve these successes. We are very excited about an order from our new major client in the grocery retail sector. The client is one of the most important players in the field. Customers will soon be able to experience Virtual Promoter in numerous grocery stores. In the context of secondary placement, Virtual Promoter will be used for marketing purposes in order to attract the customers' attention. Consumers in the store can request information about the products they wish to purchase via the Virtual Promoter. i42 (http://www.i42.de/ ), ameria's sales partner in Germany, has successfully sold a Virtual Promoter installation and app. In the future, the customer will use Virtual Promoter at trade shows as well as at their headquarters. Andreas Bohn, the managing director of i42, has identified numerous benefits related to the partnership with ameria: "Virtual Promoter enables us to develop new business areas and is perfectly compatible with our existing business." The sold app was created independently by i42 with the help of the VIP Composer, our software for generating and modifying apps. Once again, this proves how easy it is to create and modify content for the Virtual Promoter and that the system can be used as a flexible marketing channel for the point of sale. The Virtual Promoter installation in Prague, which can still be experienced in the shop window of "Pompo" toy store until 21 June, has proven to be an international success. The installation was implemented by ppm factum (http://www.virtualpromoter.cz/), our local partner for the Czech Republic and Slovakia. We continue to promote the success of Virtual Promoter with the help of our national and international partners. ameria and its partners are "crusaders", or pioneers in the field of digital transformation, who are revolutionizing the point of sale in stationary retail with the Virtual Promoter. Experience the Virtual Promoter for yourself during our roadshow roadshow on 14 June in Munich, 15 June in Berlin and 20 June in Düsseldorf.